I used to be a die hard Bare Minerals fan. I faithfully purchased my Fairly Light powder foundation, mineral veil and copious lip glosses from the line. When my older sister told me she had to stop using it because it was too drying, I just hoped and prayed that was just a “her skin” thing. Spoiler alert: It wasn’t. It was a turned 35 and your skin starts to change thing. So my beloved “airbrush my skin but better” dreams were dashed. I tried Bare Minerals CC cream, but it made me break out like crazy. I still used it, as I couldn’t really find anything else. 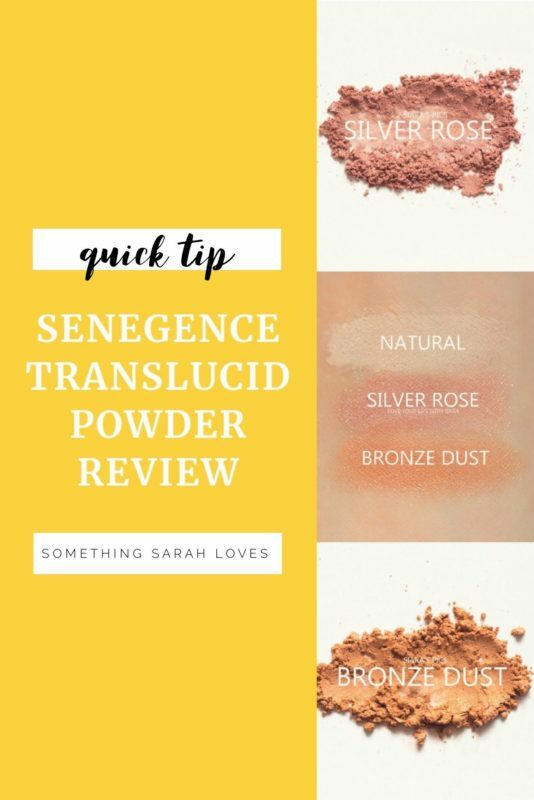 UNTIL… I tried SeneGence Color Correcting Tinted Moisturizer. We call it CCTM in the biz. It’s magic. But that isn’t even what I’m writing you about. Let me get back to the powder. I didn’t want to spend $50 on this supposed “hydrating” powder my company had. My plan was to use the CCTM, and then top with my holy grail Bare Minerals. Except, my skin wouldn’t have it. The mineral powder clung to every single tiny (or big) dry patch on my face, and drew attention to my rosacea. I was heartbroken. I’m not even mad at Bare Minerals. It’s not their fault my skin is like a lizard with a sunburn most of the winter. I mean… I used the line for nearly 15 years, so you can understand that if something works for me and checks all the boxes, I will use it until.. well, it doesn’t. I had some bonus commission (woot woot for getting paid to play with makeup) and decided to just grab some powder back in January. Do note – January is when my skin is the ABSOLUTE worst. January through March really. It’s part of my autoimmune condition and I haven’t found a remedy for my lizard skin yet. When I do find that thing.. I so want to tell you about it. It’s like the company knew I needed it. And I can’t be the only one. Shoot me a message if you have any other questions!